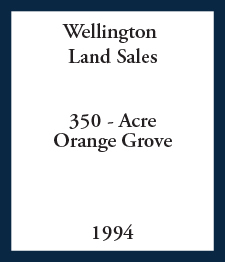 For 25 years, Atlantic Western has remained one of the market makers for high value equestrian and agricultural land in the Wellington market; executing over 2,000 acres in total land sales valued over $300,000,000 in total sales. 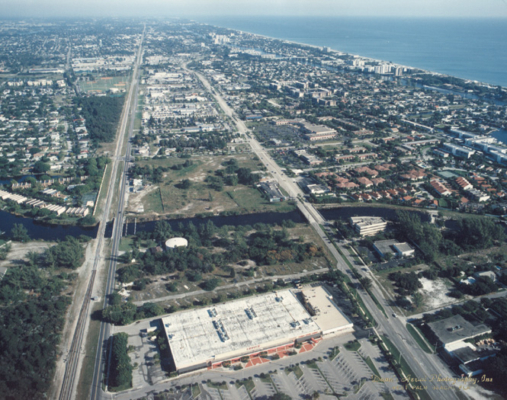 Over a 3 year period, Atlantic Western represented the private owners of this 37 acre tract providing advisory and brokerage services which successfully achieved mixed-use approvals for 185 residential units and 396,000 sf of commercial, and the as-is sale to affiliates of Mattamy Homes in 2018 for $12,025,000. 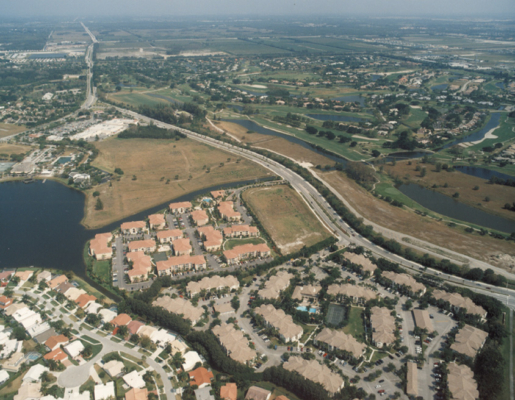 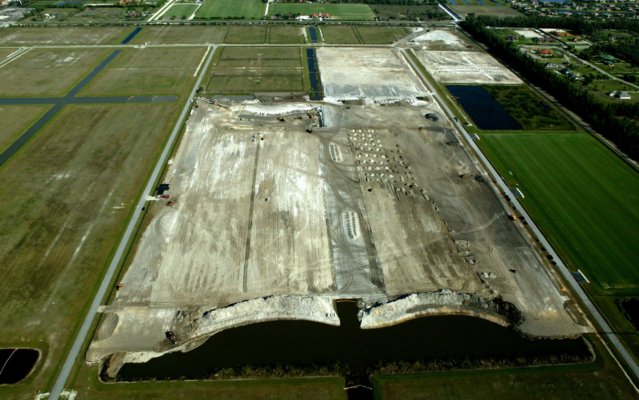 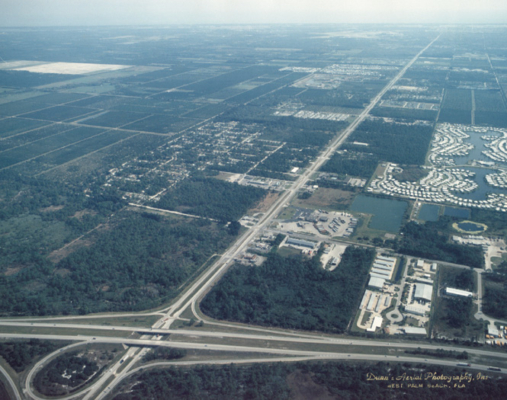 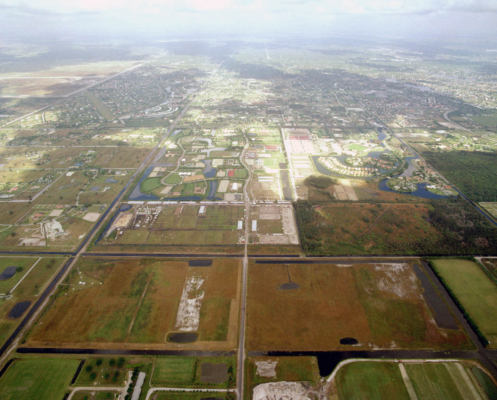 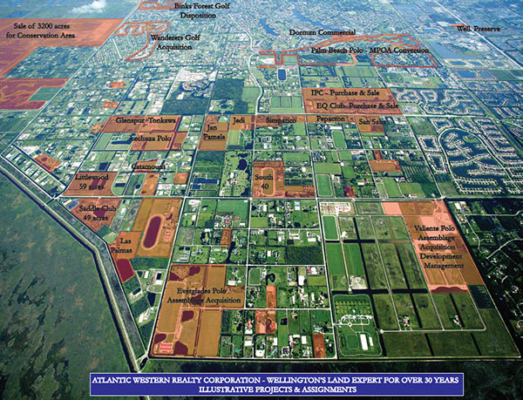 Over an 14 year period, Atlantic Western represented multiple owners of tracts comprising over 380 acres including the Gulfstream Polo Club, and provided comprehensive advisory, entitlement and brokerage services which resulted in the successful re-zoning and sale of various tract assemblages for residential development to Standard Pacific Homes, Lennar Homes and Pulte Homes. 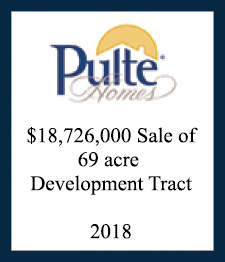 In 2018, Atlantic Western completed the 69 acre sale of the second phase of Gulfstream Polo Club to Pulte Homes for approximately $18,726,000. 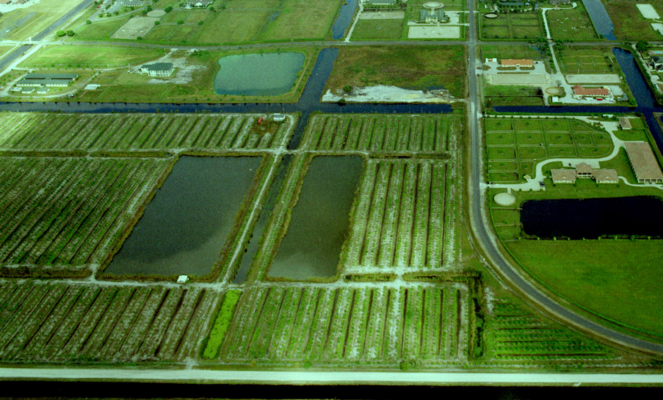 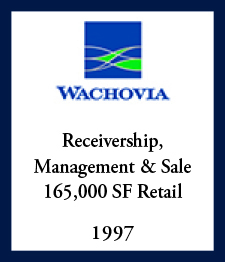 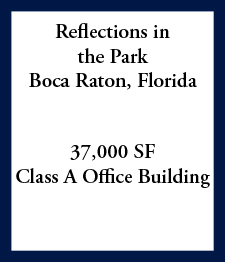 Over an 11 year period, Atlantic Western represented multiple owners of tracts comprising over 380 acres including the Gulfstream Polo Club, and provided comprehensive advisory, entitlement and brokerage services which resulted in the successful re-zoning and sale of various tract assemblages for residential development to Standard Pacific Homes, Lennar Homes and Pulte Homes. 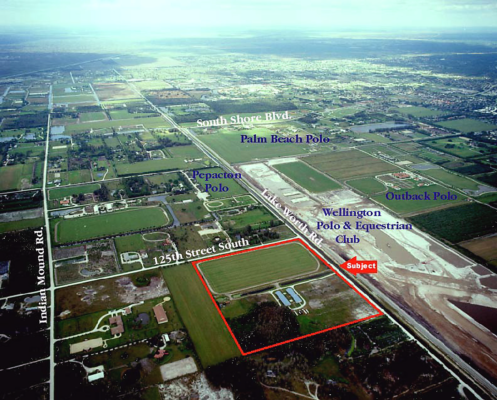 In 2016, Atlantic Western completed the 160 acre sale of Gulfstream Polo Club (and an additional 70 acre contract for a second phase) to Pulte Homes; representing one of the largest land deals in Palm Beach County that year. 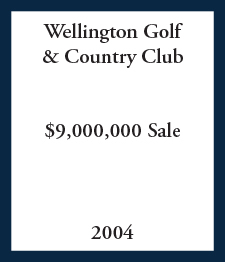 Atlantic Western was engaged as the exclusive listing agent to market and sell this executive par 3 golf course and proshop operation. 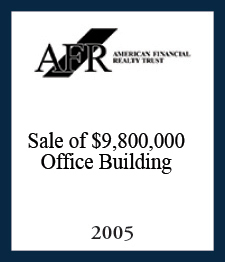 The assignment was successfully completed and sold for $1,100,000 within 6 months of engagement. The property was resold in 2015 for $2,100,000. 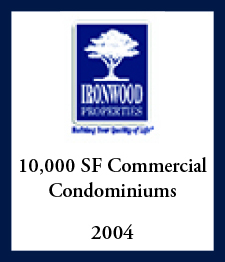 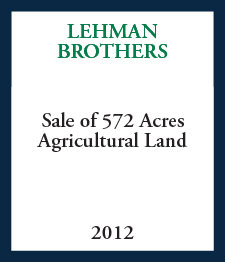 Exclusively engaged in 2014 by Lehman Brothers Affiliates, Atlantic Western provided asset management & disposition services including: (i) property due diligence; (ii) the negotiation and completion of an agricultural lease; (iii) billboard licenses; and (iv) the disposition of this tract for $1,795,000 within 180 days of assignment. 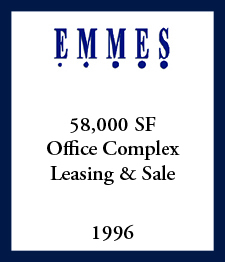 Exclusively engaged in 2013 by Lehman Brothers Affiliates, Atlantic Western provided asset management & disposition services including: (i) property due diligence; (ii) entitlement repositioning and negotiation of easements with adjoining owners; (iii) the disposition of this tract for $900,000 within 180 days of assignment. 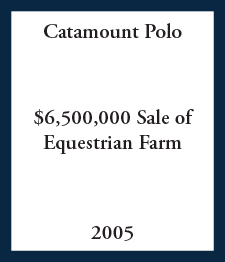 Exclusively engaged by the private owners of this legendary training facility, Atlantic Western executed a marketing, publicity and brokerage campaign to offer this unique and historically significant property for sale for the first time in over 30 years. 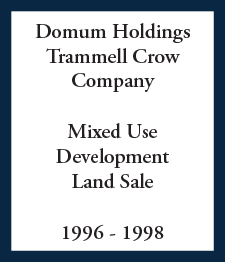 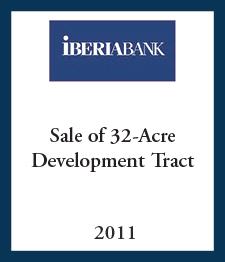 Exclusively engaged in late 2012 by Lehman Brothers Affiliates, Atlantic Western facilitated the disposition of this agricultural/development tract for $3,660,800 within 90 days of assignment. 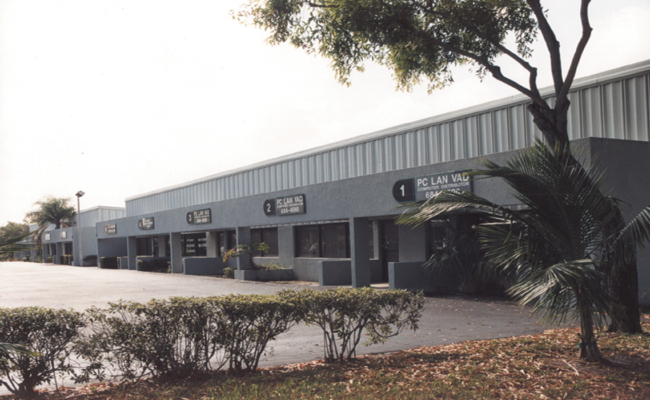 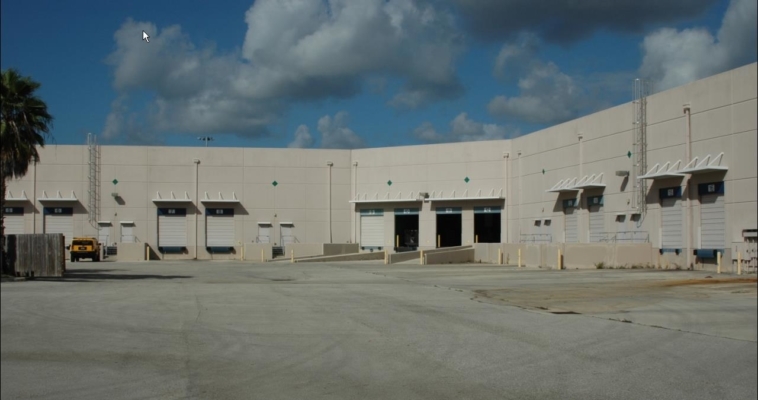 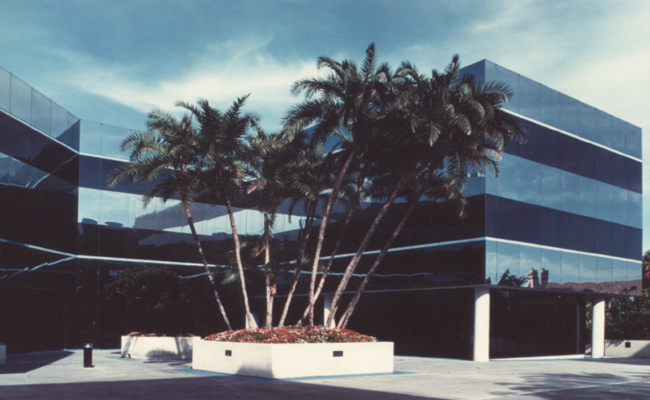 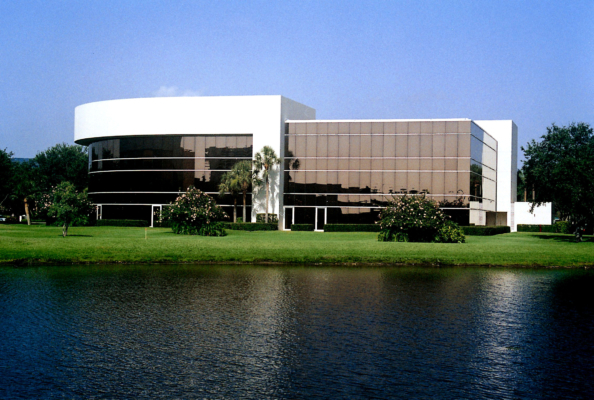 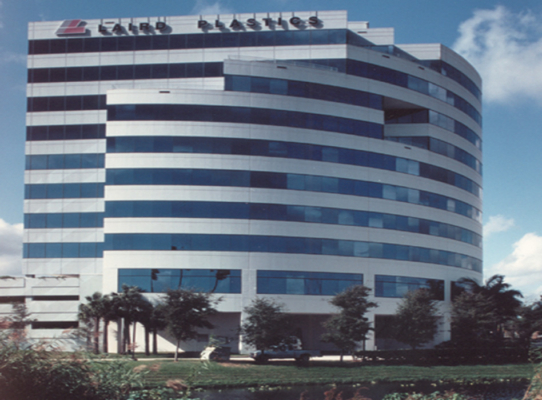 In 2011-12, Atlantic Western represented the buyer in the $14,367,000 partial bulk-acquisition of a distressed sub-division in Wellington, Florida. 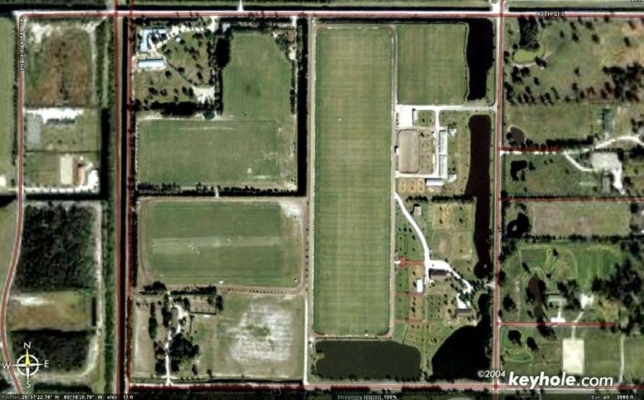 Over the next year Atlantic Western provided post-closing entitlement, design, advisory and project management services to permit and construct a private polo & equestrian complex including 5 polo fields and supporting infrastructure. 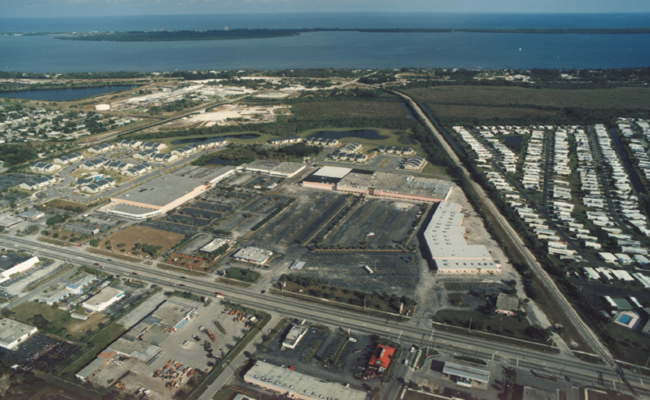 Services provided by Atlantic Western included oversight and direction of site plan preparation and regulatory approval, ERP/SFWMD permitting, Master Plan Amendment Approvals, Land Development Permitting, project design and engineering, re-platting, construction contracting and financing. 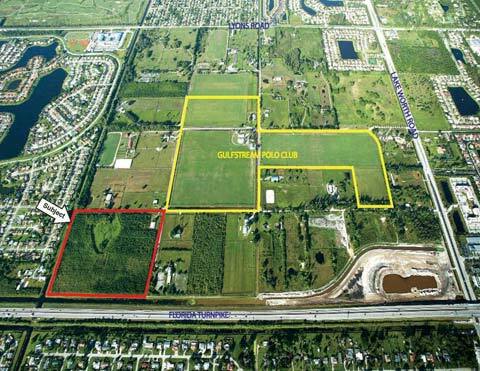 Exclusively engaged in 2011-12 by the foreclosing lender, Atlantic Western successfully completed the marketing and $3,600,000 sale of this land to an all-cash foreign investor. 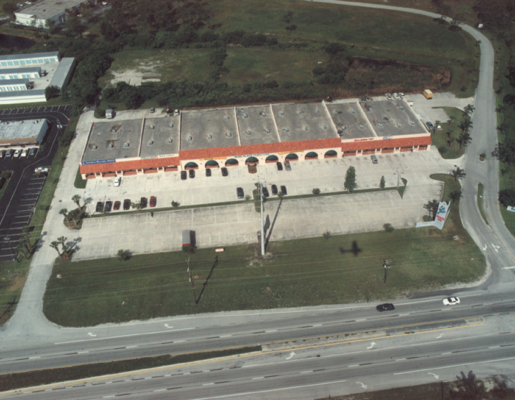 Exclusively engaged by this nationwide lender, Atlantic Western facilitated the $1,300,000 sale of this commercial tract to an institutional buyer. 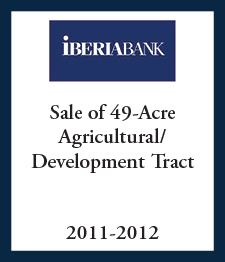 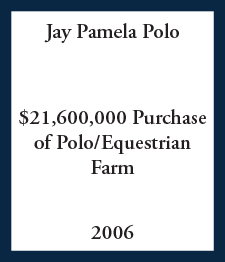 During 2011, Atlantic Western provided disposition brokerage services to Iberia Bank in connection with their foreclosure on multiple polo farms/agricultural development tracts within Gulfstream Polo Club. 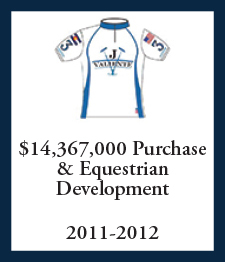 Within six months of engagement, Atlantic Western successfully completed all cash sales to third party investors. 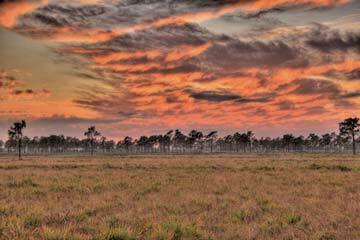 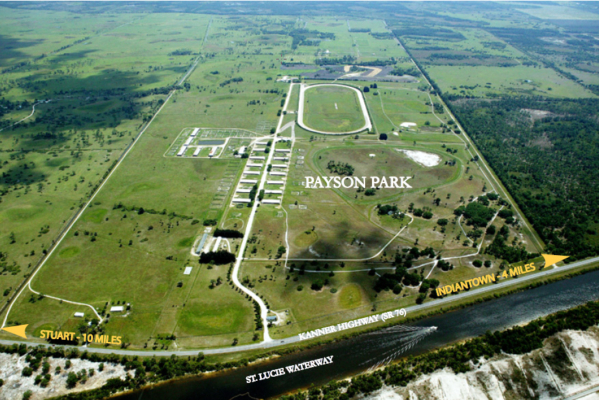 14,000 acres known as the Escape Ranch; considered to be one of the finest recreational/conservation ranches in Florida. 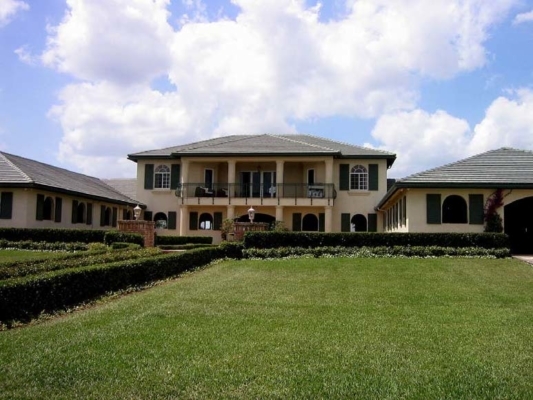 During 2010-2011, Atlantic Western was exclusively engaged as co-brokers with Hall & Hall to provide brokerage services for this $35,000,000 trophy/legacy ranch in central Florida; which efforts successfully resulted in the sale of 50% interest in the ranch. 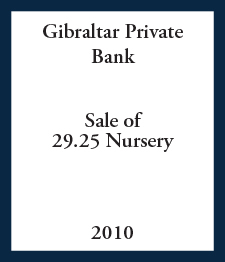 During 2010, Atlantic Western provided management and disposition brokerage services to Gibraltar Private Bank in connection with their foreclosure on this abandoned tree nursery. 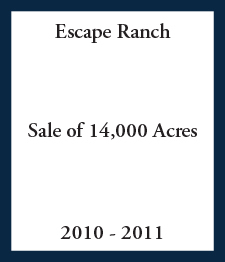 Within six months of engagement, Atlantic Western completed a successful all cash sale to third party investors for $2,090,000. 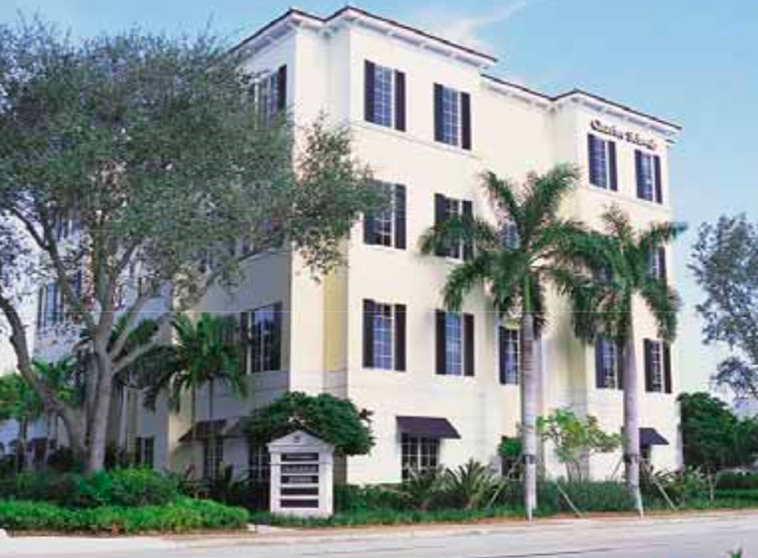 Throughout 2009-2010, Atlantic Western provided asset management and strategic advisory services to the lender group that foreclosed on its $134,700,000 mortgage secured by this property. 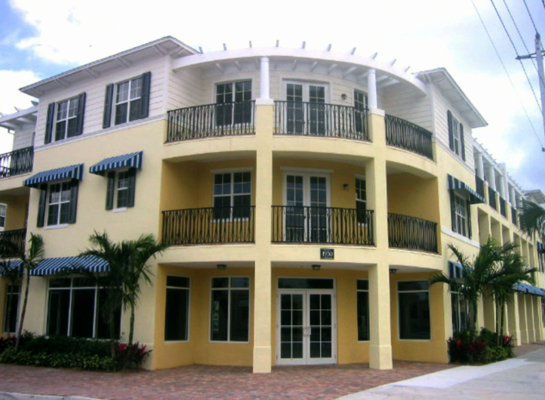 Atlantic Western assisted the lender in the recovery and ownership operation of the asset, including formation and execution of a comprehensive business plan and budget for the property and association management, leasing, and retail sale program for the individual condominium units. 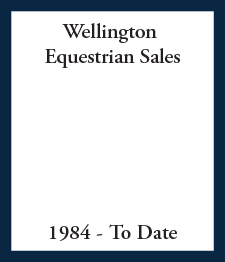 Atlantic Western’s president also served as an officer and director of the association’s board. 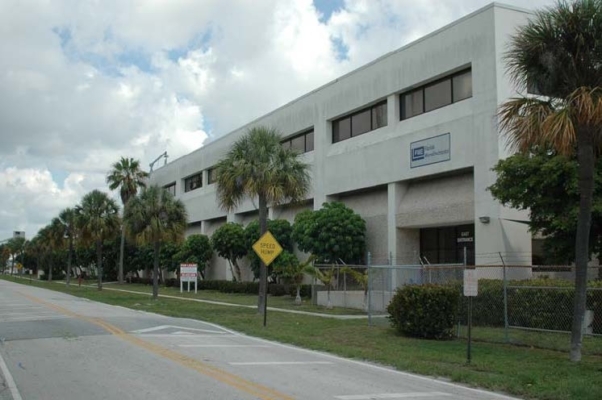 The assignment was completed through the bulk sale of the remaining 305 units for $67,000,000; representing one of the highest bulk sale recoveries in the market. 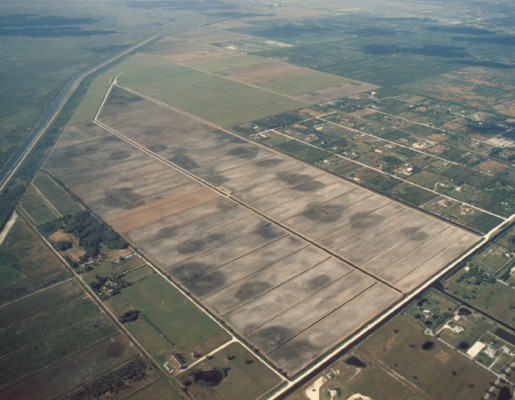 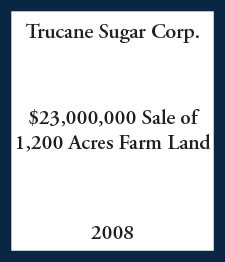 In 2008, in connection with Lakepoint Ph I, Atlantic Western facilitated the entitlements and sale of this 1,200 acre sugar cane and citrus farm to investors for $23,000,000. 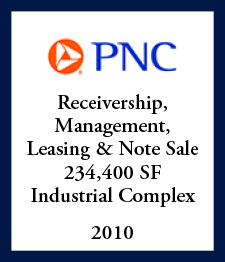 Atlantic Western also arranged and facilitated $41,000,000 in operating debt that financed the purchase of both phases. 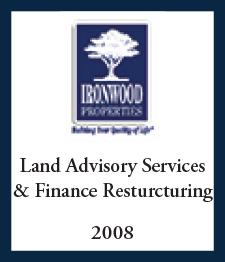 In 2008, Atlantic Western was engaged by Ironwood to provide advisory services in the recapitalization and restructuring of $65,000,000 in development and construction financing on these three projects. 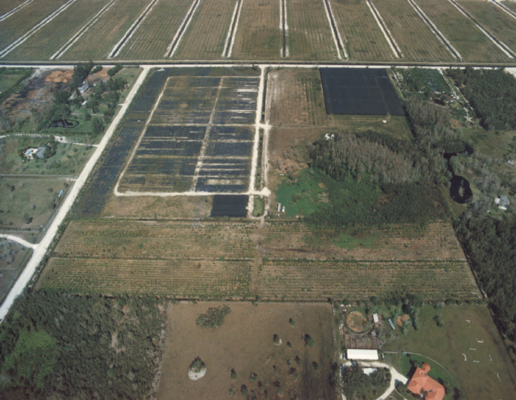 In 2004, Atlantic Western assisted the owner of this sugar cane and citrus farm to identify possible disposition alternatives. 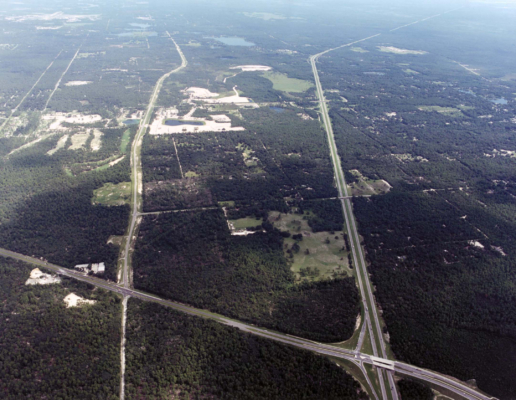 Within 3 months, Atlantic Western assembled a group of investors that contracted to acquire the first phase of over 1,000 acres which was completed in 2005 for $13,000,000. 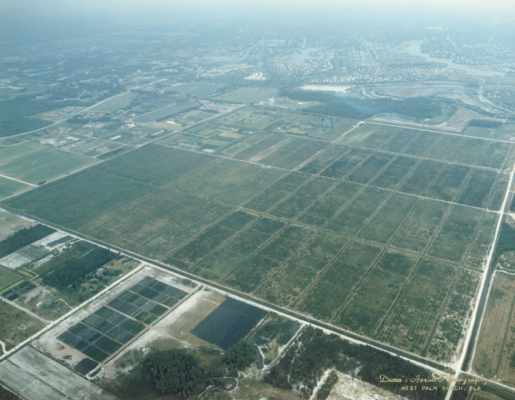 Atlantic Western was subsequently engaged by Lake Point LLC to entitle, develop, finance, and market the project known as Lake Point Ranches. 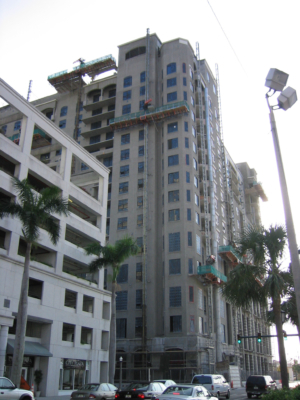 Over the next 2 years, Atlantic Western completed the entitlement, permitting and initial construction of the project and successfully re-sold it for $30,000,000 cash. 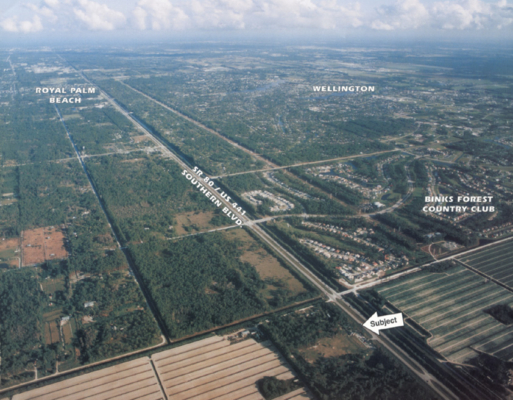 Three agricultural tracts totaling 37.5 acres situated along the Florida Turnpike | Lake Worth, Florida. 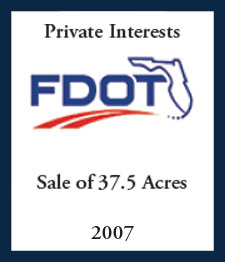 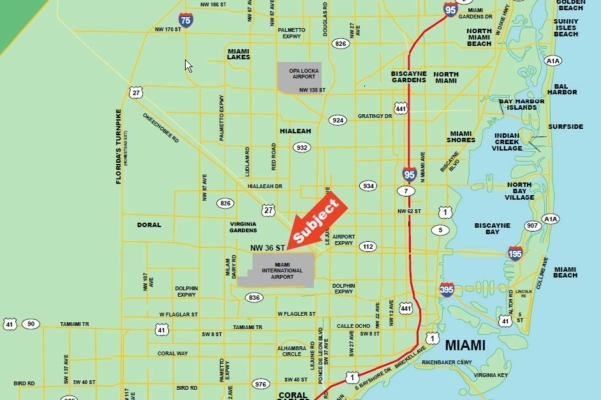 Atlantic Western was exclusively engaged in 2007 to assist certain owners in the sale and condemnation of these tracts by the FDOT, resulting in completed transactions totaling over $13,600,000. 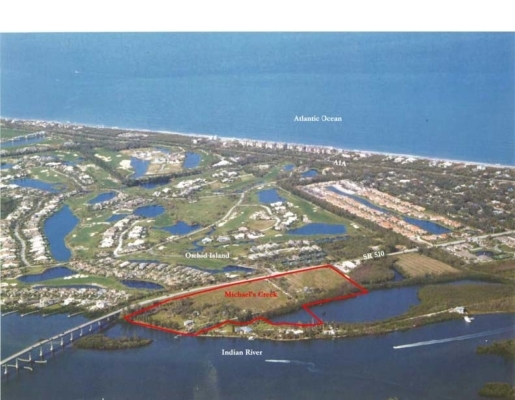 Three tracts totaling 34.8 acres partially approved for the development of 11 single family waterfront tracts, situated along the St. Lucie River and Kanner Highway, Martin County, Florida. 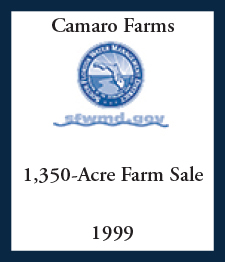 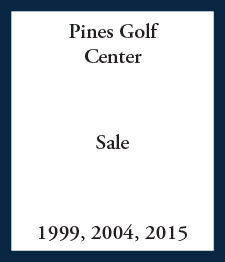 Atlantic Western was exclusively engaged in 2007 to market and sell these tracts. 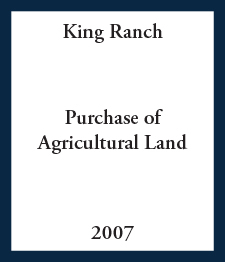 Within 6 months of engagement, this assignment was completed resulting in the as-is, all cash sale to affiliates of the King Ranch, for $1,550,000 , or approximately $44,500 per acre. 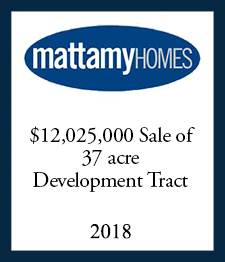 Exclusively engaged as the buyer’s representative and advisor, Atlantic Western provided strategic valuation, brokerage, advisory and due diligence services in negotiating and completing the $21,600,000 cash acquisition of this strategic land assemblage. 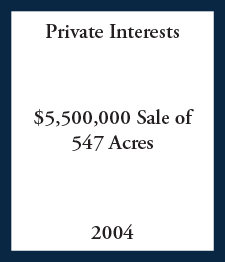 Exclusively engaged by the owner in 2005, to market and sell this trophy equestrian asset, Atlantic Western completed the assignment within 9 months of engagement, achieving $6,500,000 all cash; representing one of the highest per acre sales ever recorded at the time in the asset’s particular sub-market. 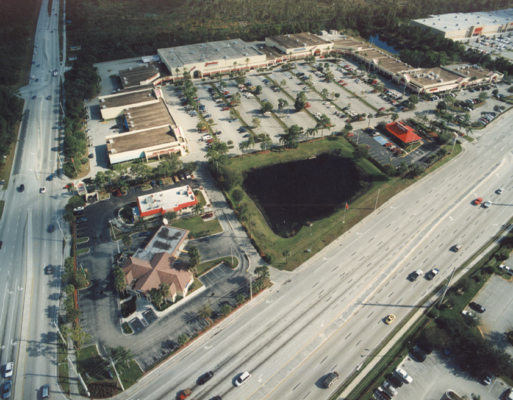 Assignment Summary: Atlantic Western was exclusively engaged by the client to sell and/or long term ground lease a portfolio of commercial outparcels on the perimeter of a Publix shopping center. 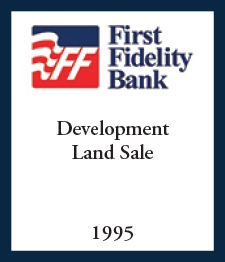 The assignment was completed in 2005 with two transactions: one for $27 psf all cash for future development,; and the second to Washington Mutual Bank under a long term ground lease. 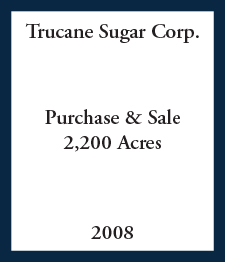 Atlantic Western was engaged in 2004 as the exclusive agent by the owner to execute a sales program for the nursery acreage. 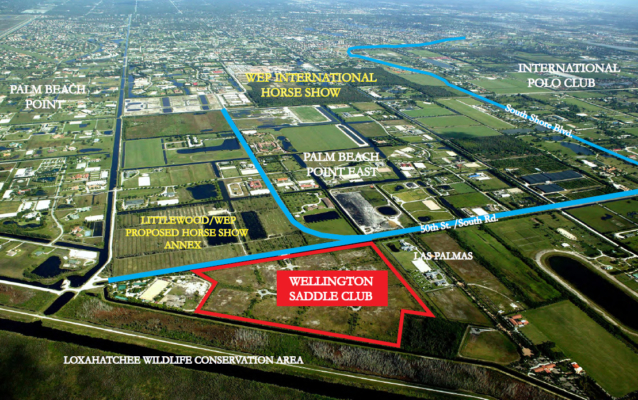 The property was sold for $5,625,000 or $95,000 per acre, within 6 months of engagement, for equestrian development purposes. 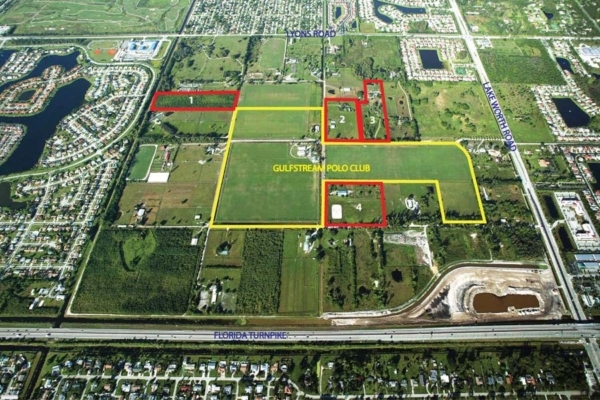 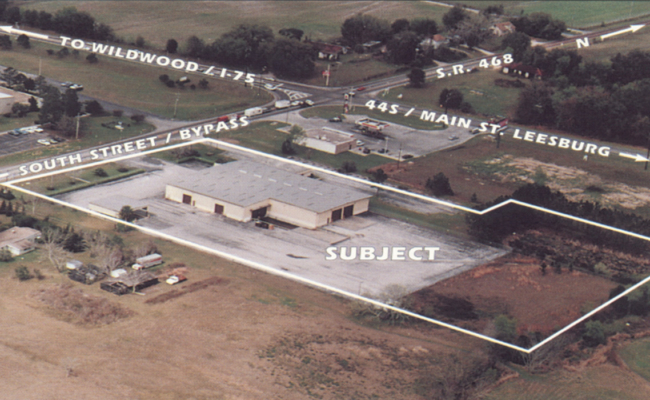 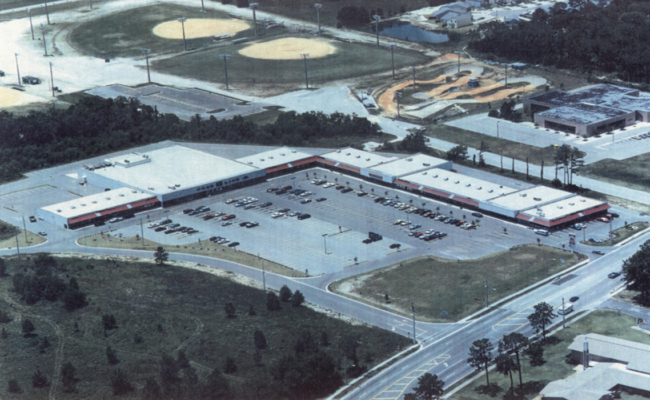 Atlantic Western was engaged by the owner as the exclusive broker for the sale of this tract of undeveloped land; which was successfully completed for $5,500,000 cash in 2004. 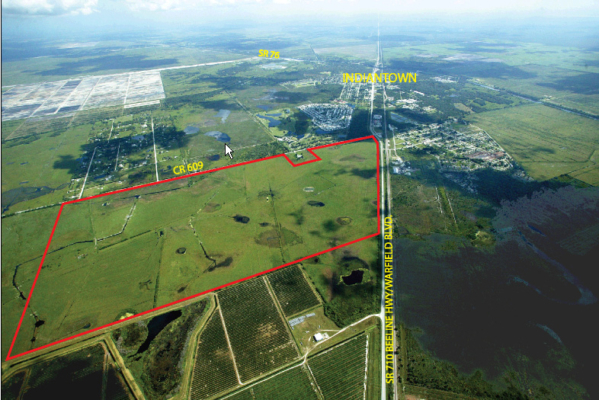 Atlantic Western assisted a private client in its as-is sale of this 112 acre tract, which was completed on an all cash basis for $14,400,000 within 10 months of engagement. 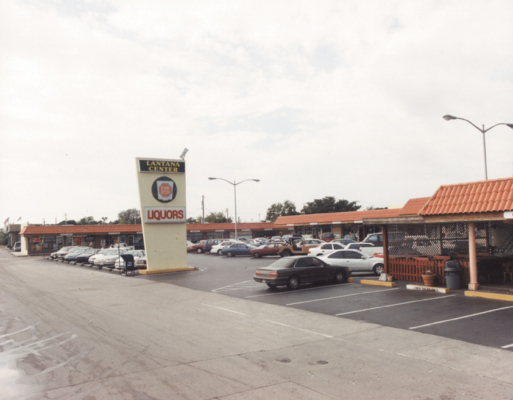 Subsequently, as exclusive agents, engaged by the buyer, Atlantic Western created and executed a marketing and sales program for the development, sub-division and resale of this property. 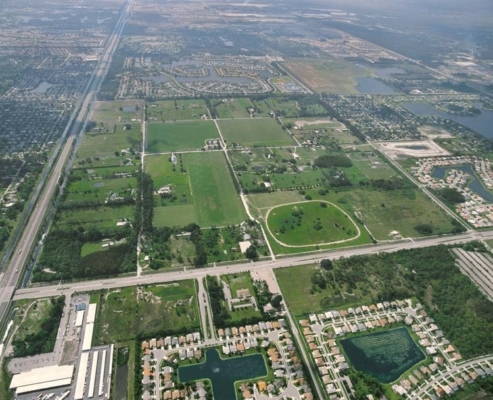 Atlantic Western assisted a private client in its initial purchase of this 40 acre tract, which was developed into a full service polo and equestrian complex. 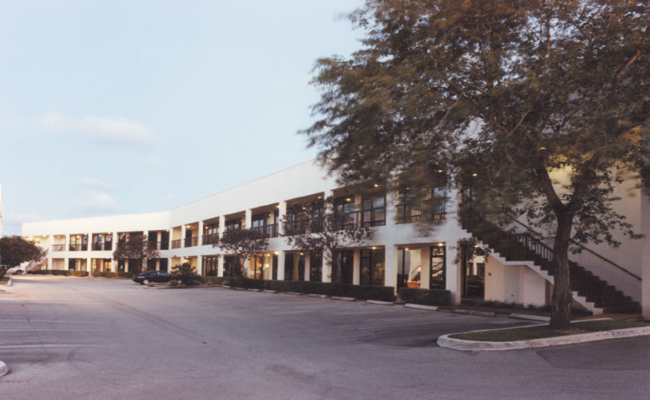 Subsequently, as exclusive agents, Atlantic Western was engaged by the client to create and execute a marketing and sales program for the property which was successfully completed within one year for $3,000,000. 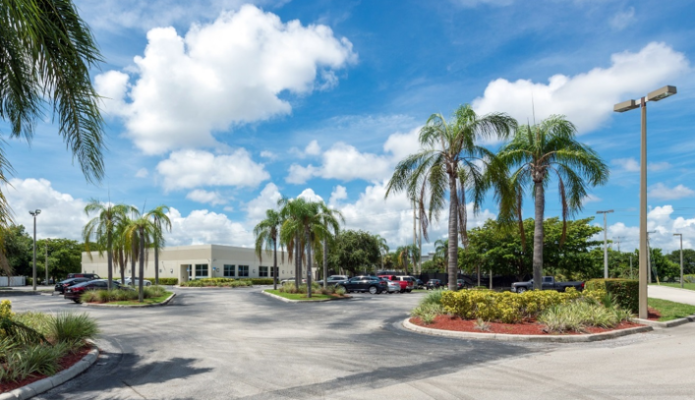 Atlantic Western was engaged by Emmes to assist in their purchase of this center and to provide exclusive management and leasing services in the physical rehabilitation and re-leasing of this asset. 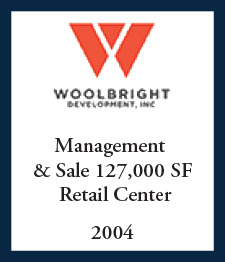 Over a 3 year period, this center was re-anchored and occupancy increased to 98%. 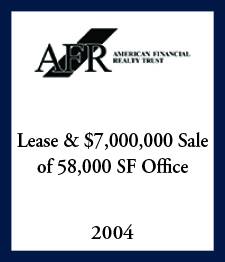 In 2002, Atlantic Western was exclusively engaged by the client to execute an institutional sales program which was successfully completed within six months, generating a $7,200,000 cash sale to a private investment group. 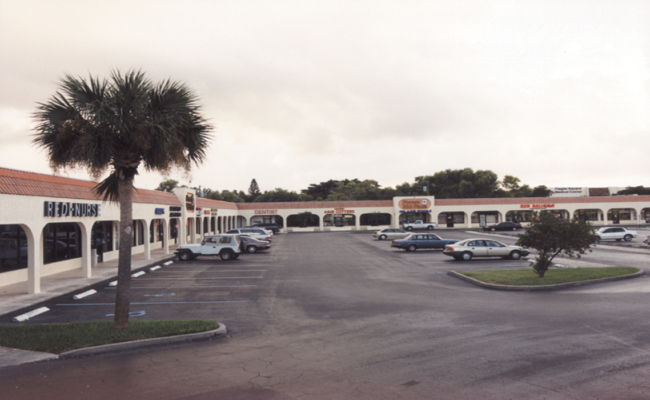 Atlantic Western was engaged to provide comprehensive property, construction management, and leasing services on this foreclosed center. 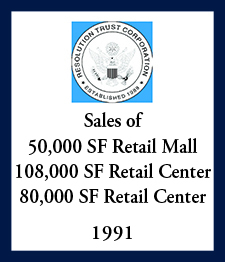 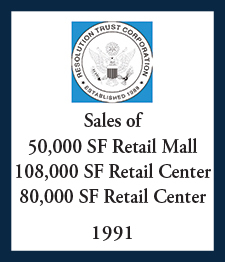 Upon acquisition, the center was 50% occupied and suffered from extensive deferred maintenance. 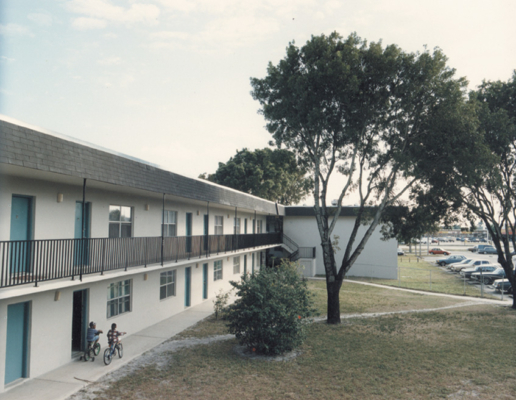 Within a 12 month period, Atlantic Western totally renovated and re-anchored the center, increased occupancy to 98%, and subsequently sold the center to an institutional investor. 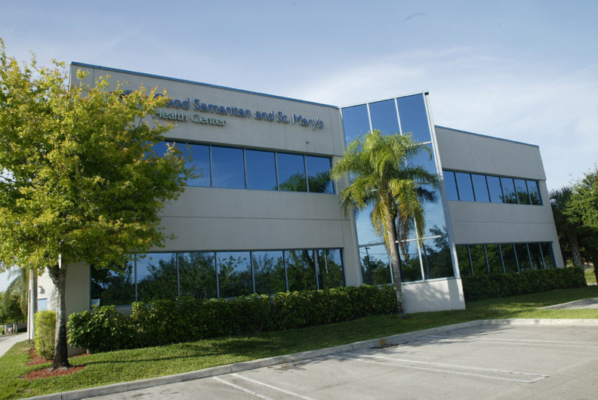 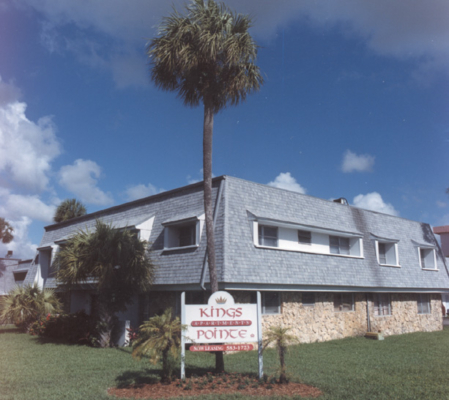 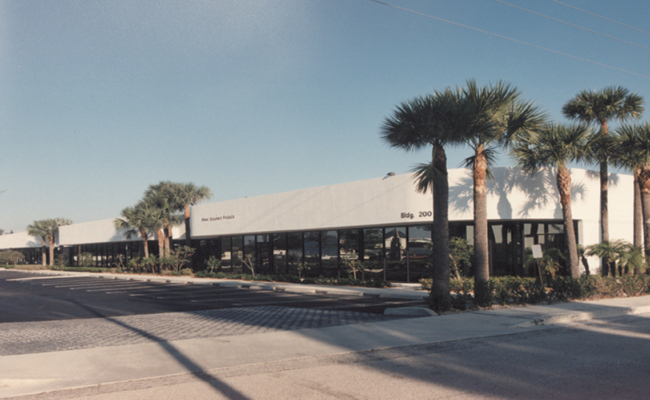 Atlantic Western was engaged to provide advisory services to St. Ann's Church in connection with the very first creation and sale of TDR/"Air Rights" in downtown West Palm Beach. 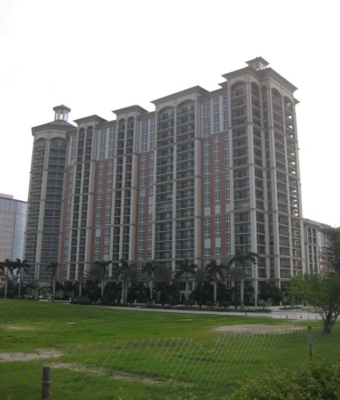 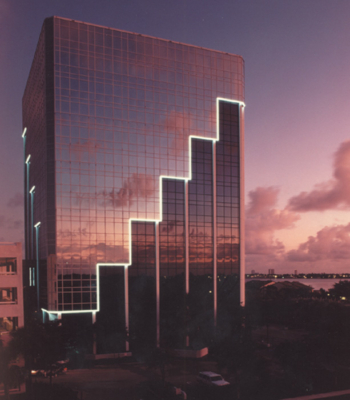 Atlantic Western assisted in the sale of TDR's; which were sold to Kolter for the development of City Plaza, a 15 story condominium project in West Palm Beach, Florida. 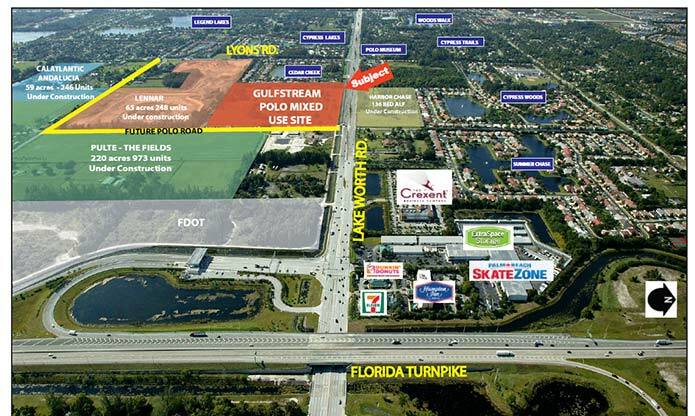 As exclusive agents for out of state investors, Atlantic Western was engaged to develop a comprehensive strategy, value opinion and execute a marketing and sales program for this tract of industrial development land. 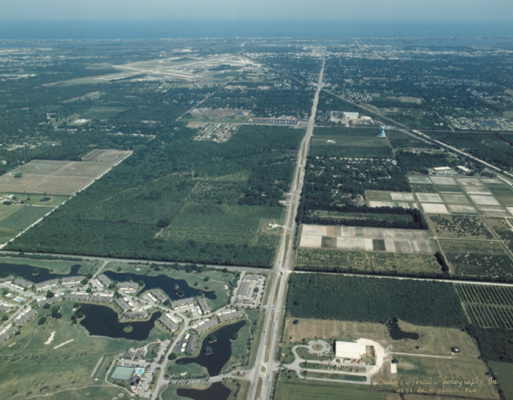 Atlantic Western successfully sold the tract for 93% of the established asking price within a six month period. 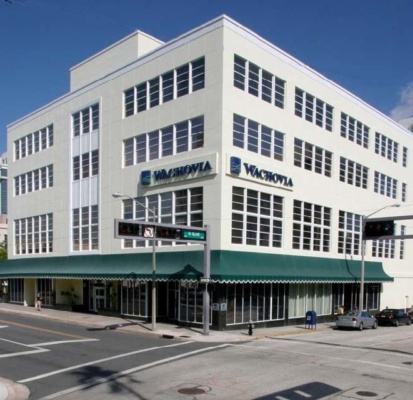 On behalf of this offshore investor, Atlantic Western refinished this center and brought occupancy to 100% and sold the center for $2,200,000 to a private investor. 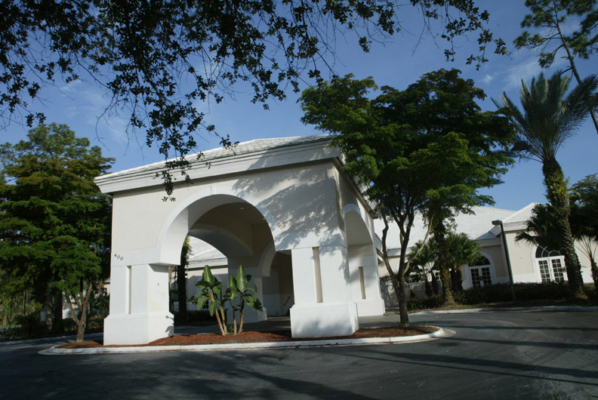 Atlantic Western was retained as exclusive leasing agent and property manager by the buyer. 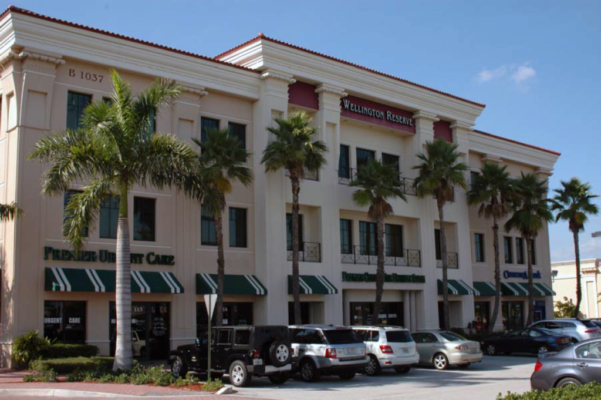 As exclusive agents for this private investor, Atlantic Western marketed and sold the center for $2,050,000 or $85.00 psf and was retained as the manager and exclusive leasing agent of the Property by the buyer. 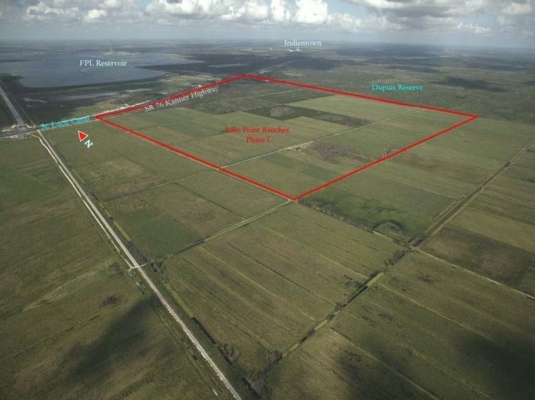 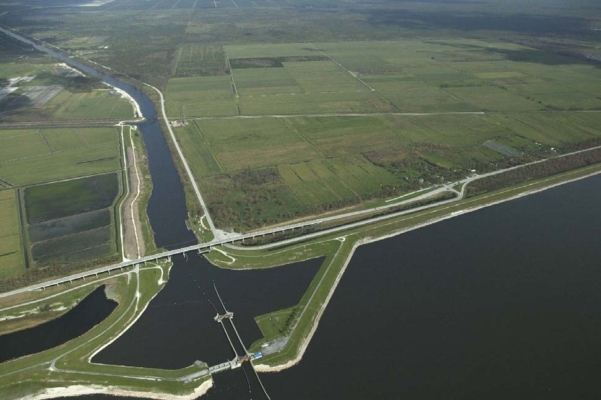 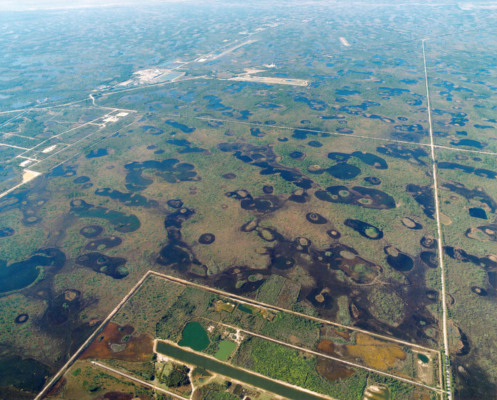 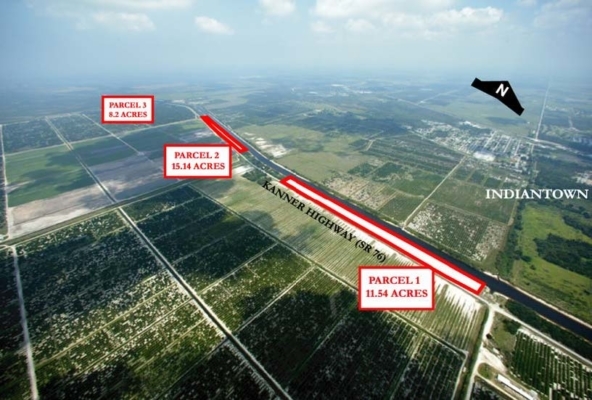 Atlantic Western was engaged as a strategic advisor for the owner's negotiation with South Florida Water Management's acquisition of this strategic parcel as part of the Everglades restoration project. 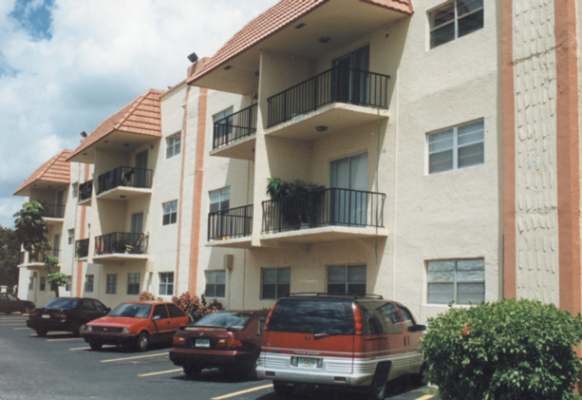 As exclusive agents for Emmes, Atlantic Western was engaged to execute a marketing and sales program for this HUD subsidized apartment complex in Carol City, Dade County. 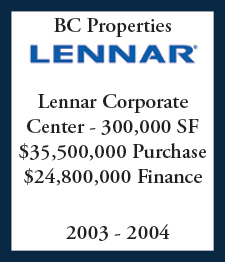 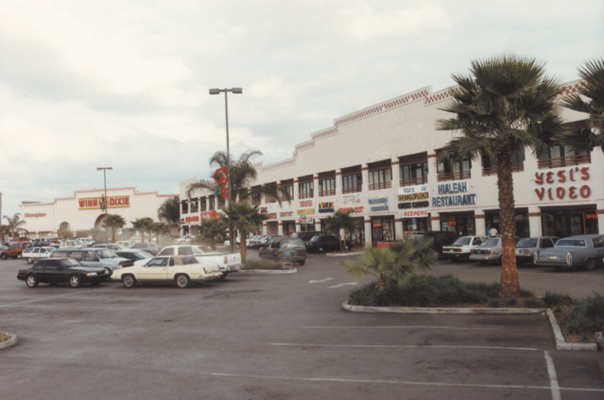 The sale was completed within 6 months for $2,400,000, to a local private investment group on an all cash basis. 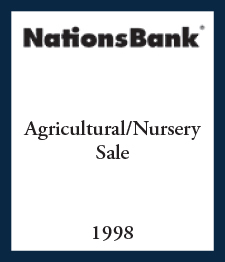 Assignment Summary: As exclusive agents for Nationsbank, Atlantic Western was engaged to develop and execute a marketing and sales program for this abandoned nursery facility. Atlantic Western successfully sold the tract for 100% of the established asking price of $800,000 within the six month assignment. 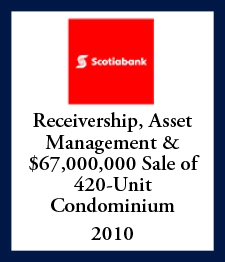 Atlantic Western was appointed as court receiver on this asset and following its acquisition as REO, within 12 months the Property was stabilized, repositioned and sold to a private investor. 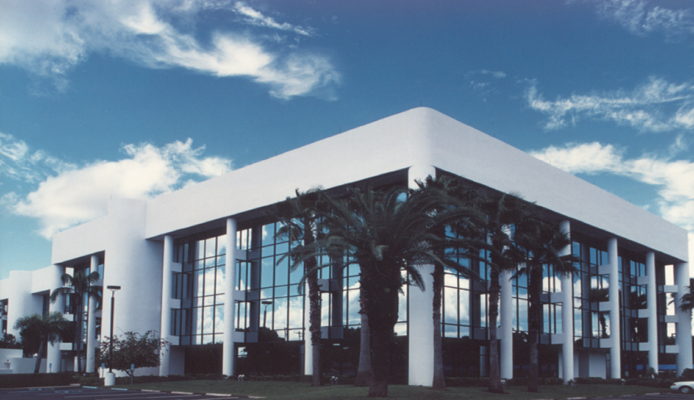 Atlantic Western was appointed as court receiver on this asset and following its acquisition as REO, within 12 months the property was stabilized, repositioned and sold to a private investor. 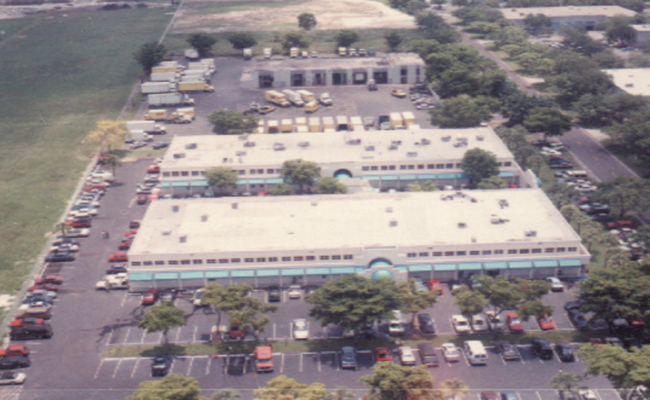 Atlantic Western was retained by the buyer to provide management and leasing services. 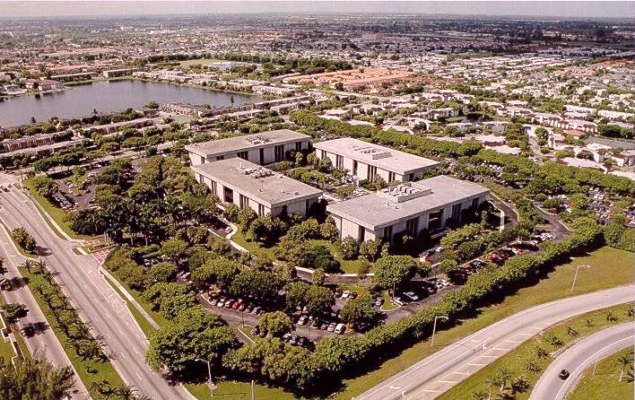 As exclusive listing agents and advisors to this foreign investor, Atlantic Western repositioned this vacant commercial tract and executed a multi-phased sub-division for the sale and eventual development of a 224 unit class A apartment project, office complex, ACLF and hotel. 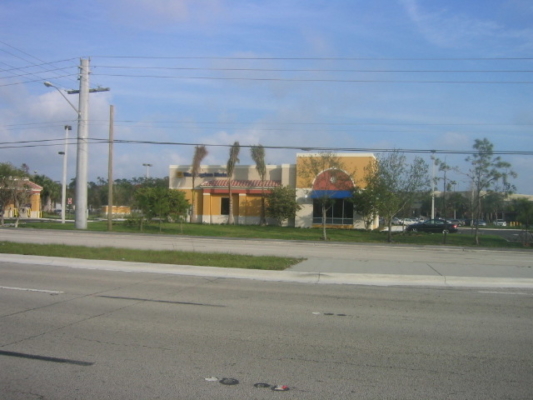 Atlantic Western was appointed receiver on this substantially vacant center. 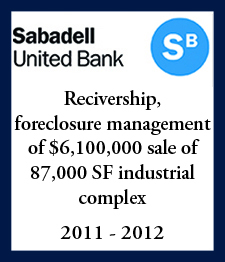 Within three months, the property's physical and economic deterioration was stabilized. 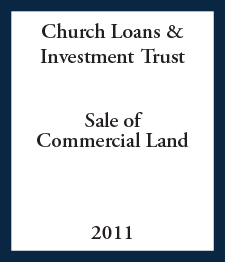 Atlantic Western assisted in the successful sale of the bank's judgment for a 100% recovery of the secured debt. 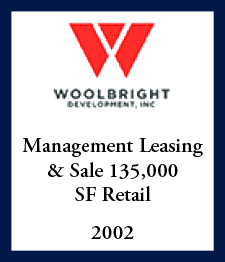 As property managers and exclusive leasing and sales agents, over a four year period Atlantic Western completely repositioned this center, increasing overall occupancy from 55% to 85%. 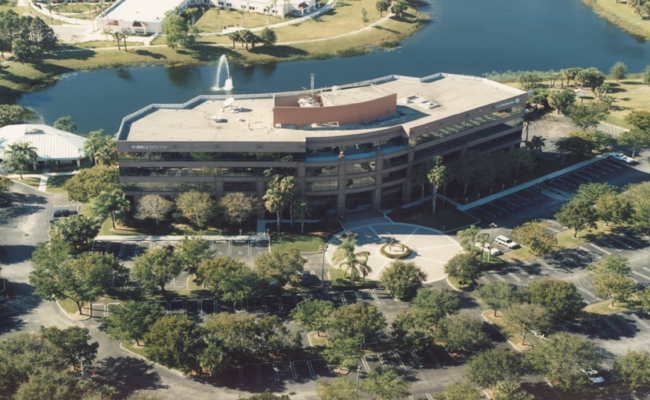 Atlantic Western assisted in the property's refinance to an institutional lender and subsequently executed a marketing and sales program resulting in the property's sale for $10,000,000 to a private, all cash buyer. 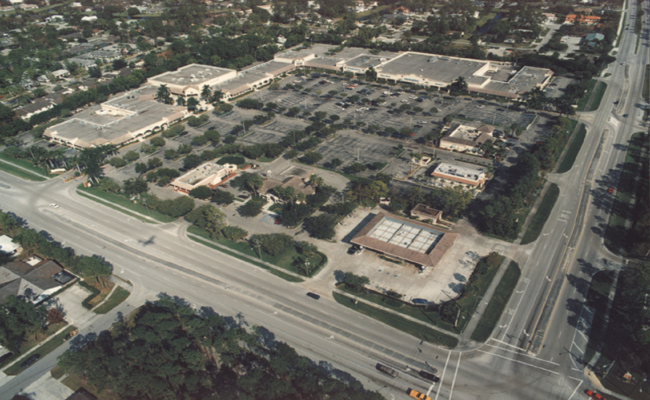 This sale was executed with only 2 years remaining on the Winn-Dixie lease and Walgreen's stated decision to vacate. 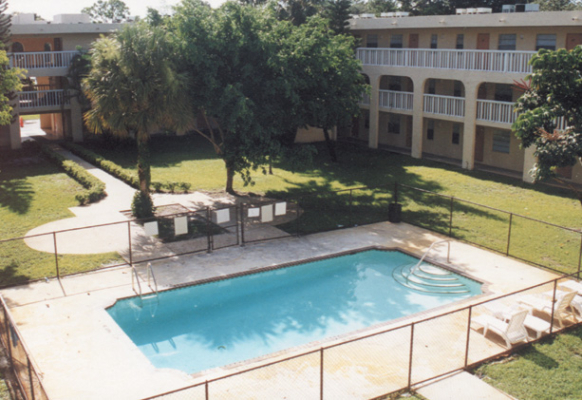 Atlantic Western was engaged by Emmes to assist in their purchase of these apartments as part of a larger portfolio. 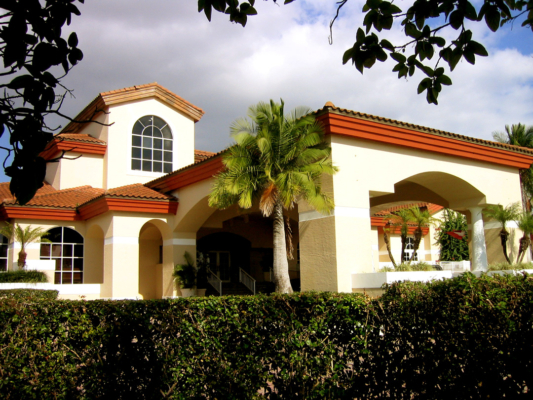 Subsequently, Atlantic Western was appointed exclusive listing agents in the marketing and sale of these six properties. 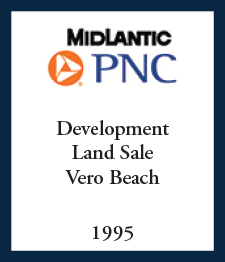 Assignment Summary: As exclusive agents for Midlantic-PNC, Atlantic Western successfully marketed and sold non-contiguous tracts to a private investment group within the 12 month disposition assignment. 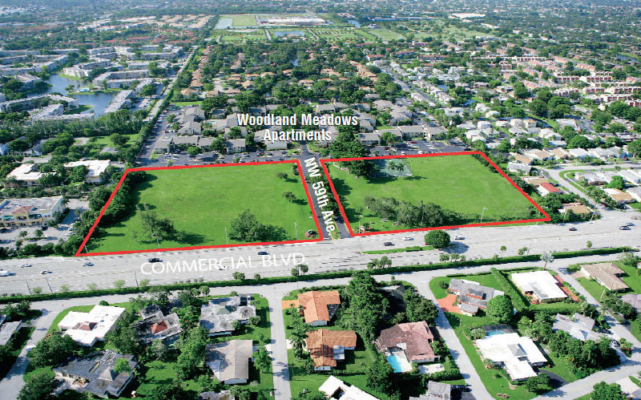 As agents for First Fidelity Bankshares, Atlantic Western successfully sold a multi-asset land portfolio consisting of commercial land tracts in Palm Beach and Indian River Counties. 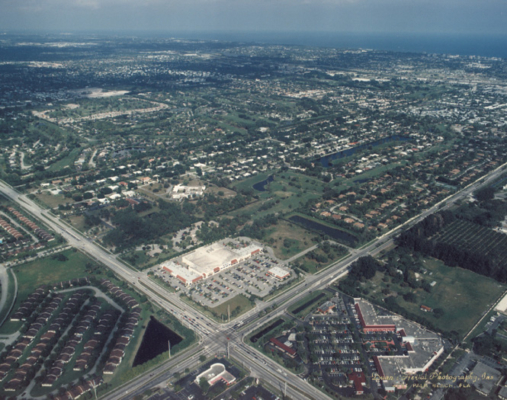 These parcels required extensive efforts to perfect specific development and approvals and overcome problematic title issues. 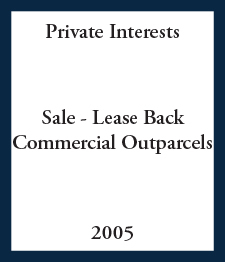 Atlantic Western resolved these issues and marketed and sold each parcel to individual investor/users within the 12 month assignment. 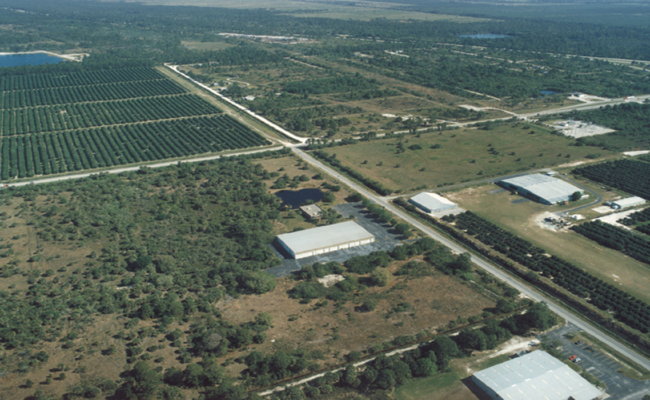 As exclusive listing agent, Atlantic Western advised and directed the marketing efforts for the sale of this orange grove in Palm Beach County. 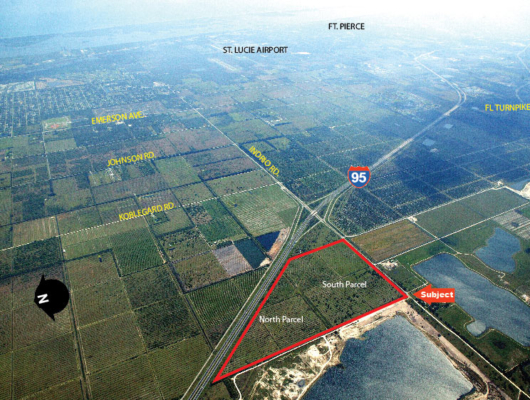 Atlantic Western was subsequently retained by the buyer to execute a sub-division and resale of the tract to various investment interests. 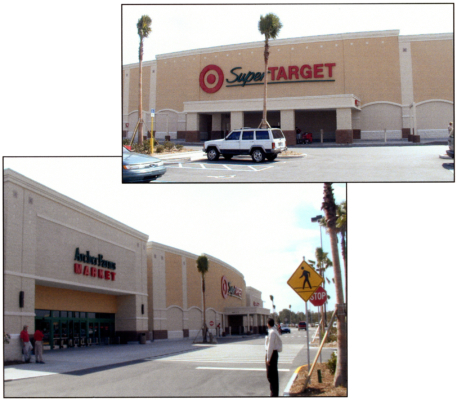 Assignment Summary: Atlantic Western's staff as asset managers for Midlantic provided the workout and REO advisory services responsible for the recovery, management, leasing and sale of this anchored retail power center. 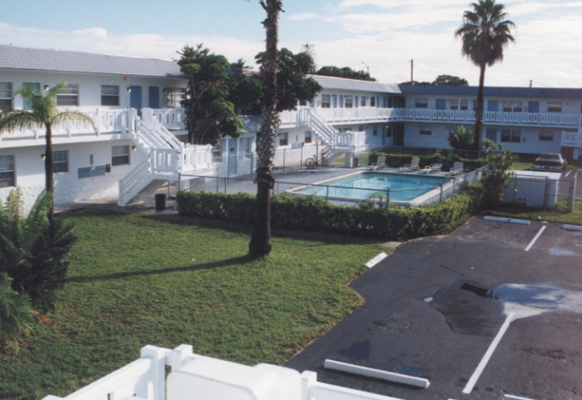 The $10,250,000 sale of this asset was completed within 4 months of assignment. 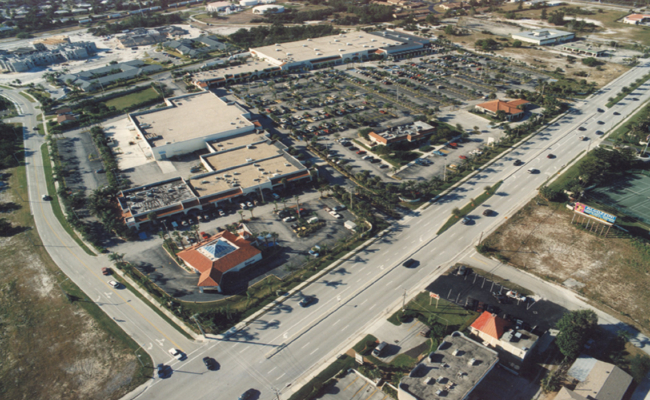 Assignment Summary: Atlantic Western's staff, acting as the asset managers and advisors to Midlantic, negotiated a successful debt restructuring on this major retail center in Wellington. 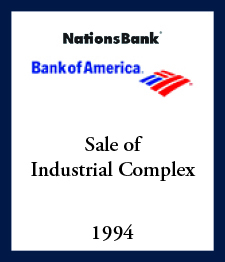 This workout lead to the loan's successful sale to General Electric as part of a $225,000,000 portfolio sale, which was also executed by Atlantic Western's staff. 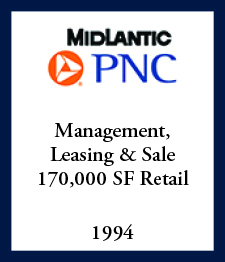 Assignment Summary: As asset managers for Midlantic, the staff at Atlantic Western provided comprehensive loan workout services in connection with the troubled debt restructuring of a $70,000,000 single borrower exposure, which included this project. 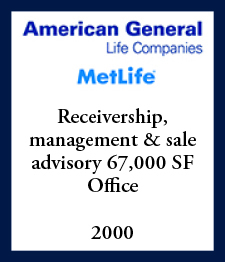 The restructuring of this debt ultimately facilitated the entire exposure's sale to General Electric as part of a $225,000,000 portfolio sale, which was also executed by Atlantic Western's staff. 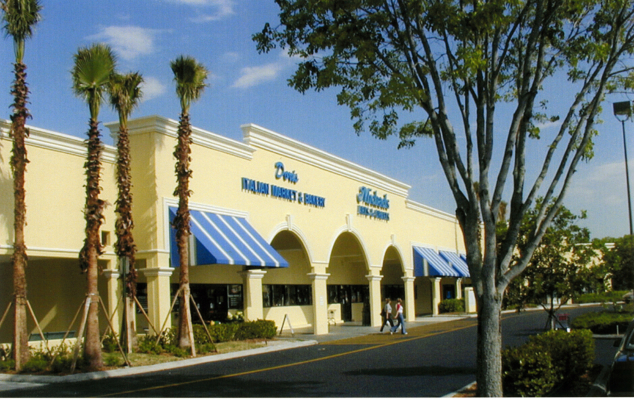 Assignment Summary: Atlantic Western's staff as asset managers for Midlantic provided the workout and REO advisory services responsible for the recovery, management, leasing and sale of this retail center. 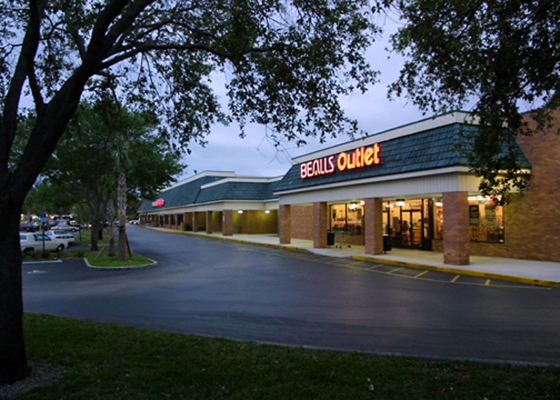 The sale of this asset was completed within 8 months of assignment. 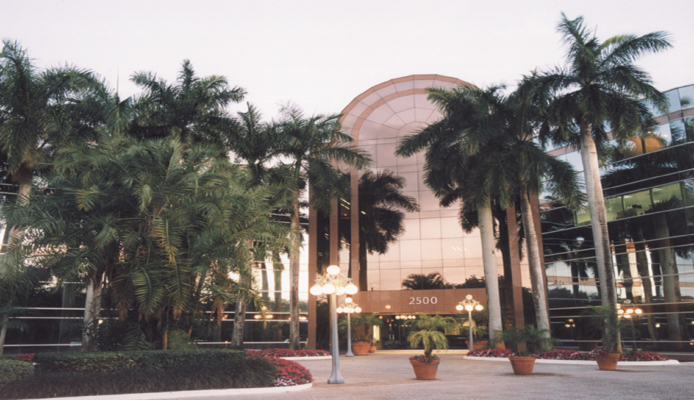 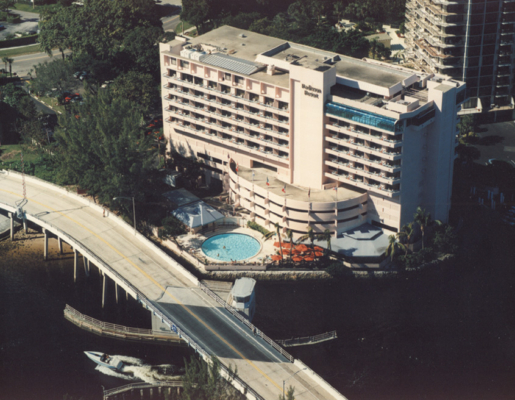 Assignment Summary: Atlantic Western's staff, acting as the asset managers and advisors to Midlantic, provided comprehensive management and disposition services on this landmark waterfront hotel in Boca Raton. 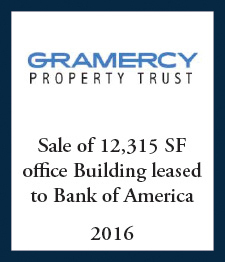 The property was successfully sold on an all cash basis in excess of the asking price, to a northeastern based investment group within six months of assignment. 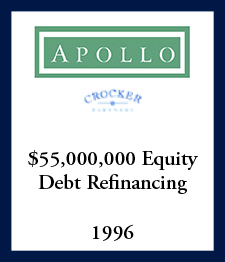 Assignment Summary: Supervised and directed the litigation that facilitated the center's acquisition as REO. 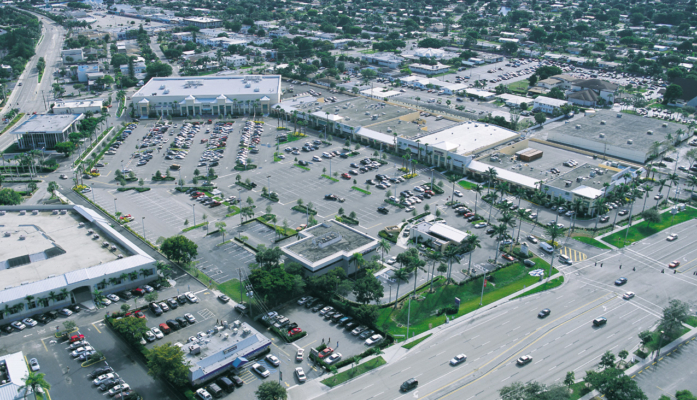 Continued direction and supervision of the Leasing and management efforts resulted in an increased in occupancy from 68% to 85% of nra, the completion of two special exception zoning applications, and the listing/marketing of the asset for sale. Within six months of a borrower's initial Chapter 11 filing, staff negotiated the successful release from bankruptcy proceedings and the ultimate recovery via sale of 100% of the lender's principal and interest. 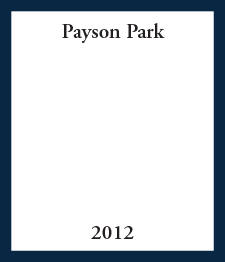 Assignment Summary: During a two year period and prolonged. 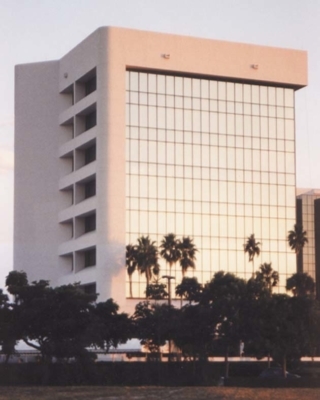 bankruptcy case, staff directed the litigation efforts which resulted in the successful appointment of an operating trustee, cash collateral stipulation and adequate protection award, and the formulation of a creditors' plan that provided for a sale free and clear of all liens. 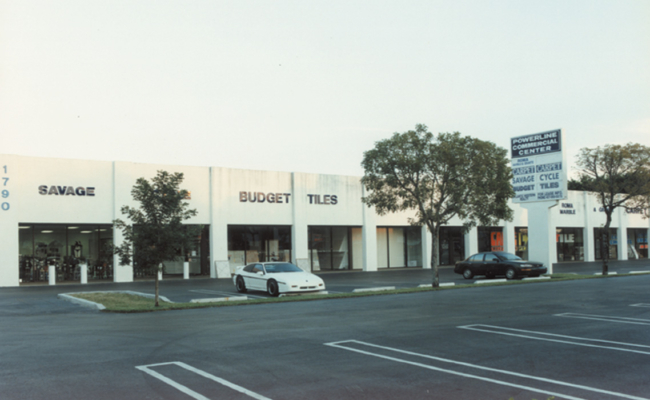 This asset was ultimately resolved via a loan sale on an all-cash basis.